Beijing’s Holy Savior Cathedral has been restored to its original glory and as the center of life for the Catholic community in the Chinese capital. According to Chinese agencies report, the restoration of the complex (about 7,000 square meters) of the largest church in Beijing, also a National Monument, lasted two years and formally ended October 23, 2010, with an investment of 30 million yuan (US$8 million), Fides reports. The origin of the cathedral dates back to the 1600s, when Emperor Kang Xi, cured of malaria thanks to Western medicine offered by Jesuit missionaries Father Jean de Fontaney (1643-1710) and Father Claude de Visdelou (1665-1737), in gratitude gave them land near the Forbidden City to build the church and other buildings. Opened December 9, 1703, it was dedicated to the Holy Savior with an Observatory and a Library. 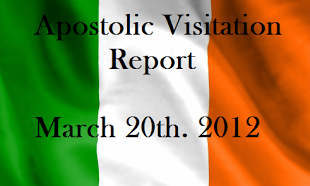 With the dissolution of the Jesuits, the church passed into the hands of the Lazzarist Fathers in 1773. During the persecution of 1827, it was destroyed and later rebuilt in 1860, also near the Forbidden City, and from that moment it also became the cathedral. With the expansion of the imperial palace, the church and the whole complex (Bishop’s Residence, seminary, orphanage, and convent) were moved a few inches to the west, but with a larger space. During the Boxer Revolution, the steeple was destroyed, but the cathedral was the refuge of more than 3,000 Catholics thanks to the courageous Catholic Bishop Pierre Marie Alphonse Favier, CM. Until 1949, eight diocesan bishops lived there, including the first Chinese Cardinal Thomas Tian Geng Xin (1946-1949). 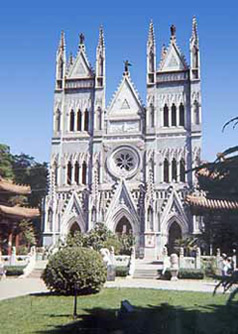 During the Chinese Cultural Revolution, the cathedral was severely affected, as was the entire Catholic community in China. It was rebuilt beginning February 12, 1985 and opened on Christmas of that year. Two years ago, it began its most extensive renovation in the last century with an unprecedented investment of money.